I. As Christians we have to live in this world. 1. We cannot entirely avoid the people of this world (1Co 5:9-10). 2. Jesus and His disciples lived in the world (Joh 17:11). 3. God wants us to be in this world for a time to be the salt and light of it (Joh 17:15 c/w Mat 5:13-16). 4. We can use this world, but not abuse it (1Co 7:31). For the outline and the rest of the sermons in this series, click here: What Parts of the New Testament Apply to Whom? The outline in Word and PDF formats is attached below. I. Our pilgrimage on this earth is short. 1. Our life on this earth is so short it is called a vapour (Jam 4:14). Preached at the Excelsior Springs Church in Excelsior Springs, MO. I. We are commanded to earnestly contend for the faith (Jud 1:3). II. How do we effectively contend for the faith? 1. We must follow the example of Jesus Christ (1Co 11:1). 2. We should walk as He walked (1Jo 2:6). III. An example of how Jesus taught and defended the truth is found in (Joh 4:3-42). 1. In the course of His travels, Jesus ended up passing through Samaria (Joh 4:3-5). Pastor Wagner preaches a sermon on Why We Use the KJV at the Excelsior Springs Church in Excelsior Springs, MO. The following topics are covered in this sermon: God's promise to preserve His word, the history of the King James Version and the modern English Bible per-versions, the families of manuscripts which underlie the KJV and the modern English per-versions, and verse comparisons between the KJV and the NIV. There is no outline for this sermon. Submitted by Pastor Chad Wagner on Mon, 06/26/2017 - 12:09. Submitted by Pastor Chad Wagner on Mon, 06/12/2017 - 10:53. Preached at the Ecclesiastical Law Center Pastors Conference in Mesick, MI. I. What really matters to me as a pastor? 1. Believing and teaching the truth (Psa 119:97; Psa 119:127-128; 2Ti 4:2). 2. Keeping God's commandments (Joh 14:15; Joh 14:21). 3. Seeing that the brethren are walking in truth (2Jo 1:4; 3Jo 1:3-4). 4. Worshipping Jesus Christ in spirit and in truth (Joh 4:23-24). 5. Seeking God after the due order (1Ch 15:13). I.	Christians are commanded to "be not conformed to this world" (Rom 12:2). 1. The Lord instructs us to be nonconformists. A. Conform v. - 1. trans. To form, shape, or fashion according to some pattern, model, or instruction; to make of the same form or character, to make like. B. We are therefore not to pattern our thoughts and behavior after the way of this world. C.	We should not look, act, and think like the people of this world. I. There is a difference between churches that meet in houses and "house churches." 1. Many of the early churches met in homes (Rom 16:5; 1Co 16:19; Col 4:15; Phm 1:2). 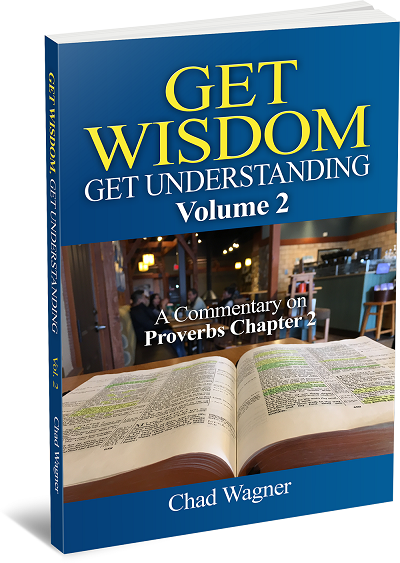 If you like this blog, then you will like Get Wisdom, Get Understanding which is Pastor Wagner's commentary series on the book of Proverbs which is available on Amazon in paperback or Kindle. Find out more here. Video Blog - What If I'm Not One of the Elect? Submitted by Pastor Chad Wagner on Mon, 05/15/2017 - 09:21. Watch this video here: What If I'm Not One of the Elect? I. The New Testament commands brethren to greet each other with an holy kiss (Rom 16:16; 1Co 16:20; 2Co 13:12; 1Th 5:26; 1Pe 5:14). II. There are two important terms to define. 1. It shows us the serious nature of the crime of aggression and God's severe punishment of it. Submitted by Pastor Chad Wagner on Mon, 05/08/2017 - 10:39.